Tomahawk Black Tanto Blade Neck Knife | BUDK.com - Knives & Swords At The Lowest Prices! This very unique neck knife measures 6 7/8" overall and features a 3" matte finish, full tang stainless steel blade. The black composition handle offers distinctive a cutout while still providing a sure and firm grip. 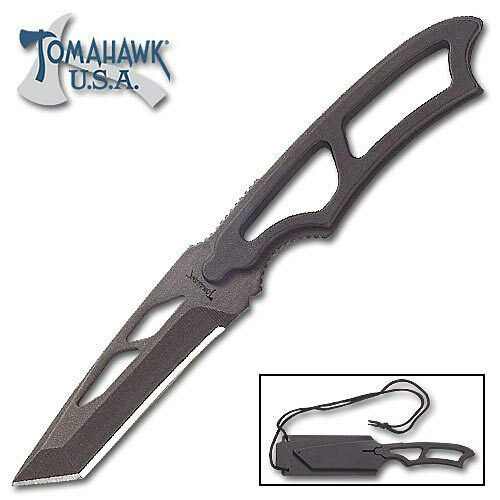 This knife includes a black composition sheath with built-in whistle and lanyard.